I'm coming up on my two year anniversary in DC and I finally feel like I can call DC home. Although since being here, I've had 3 different "homes". I've literally lived in three different places and now Aaron and I are looking to move into a new place at the end of the summer which will be the 4th time I've moved in 2 years. WOOF. Seriously, WOOF. Moving is THE WORST. Al;though we're looking at places with the mindeset that we'll stay in this place until we're ready to move out of the city (so a few years down the road), all I can wrap my mind around one.more.move. And one more apartment search! In DC, apartment searches can be as exhausting as the actual move itself since the market is so darn competitive and places get snatched up so freaking quickly! So we're off to check out another building this afternoon and I'm hoping I fall in love because my home decor pinterest board is practically begging me to get to pinning! Lets be real here: moving schmoving, I just want to decorate! Cross your fingers for us! 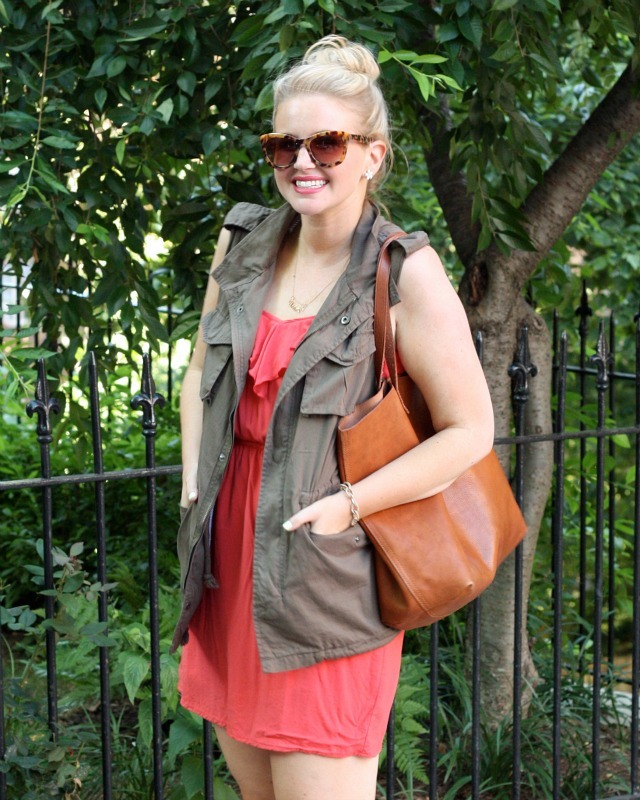 LOVE this look, the vest over the feminine ruffly dress is such a fun combo! Good luck with the search-- I know that moving can be such a pain! ok, first i didnt know you lived in dc! me too -- lets grab brunch sometime soon! Love this look! 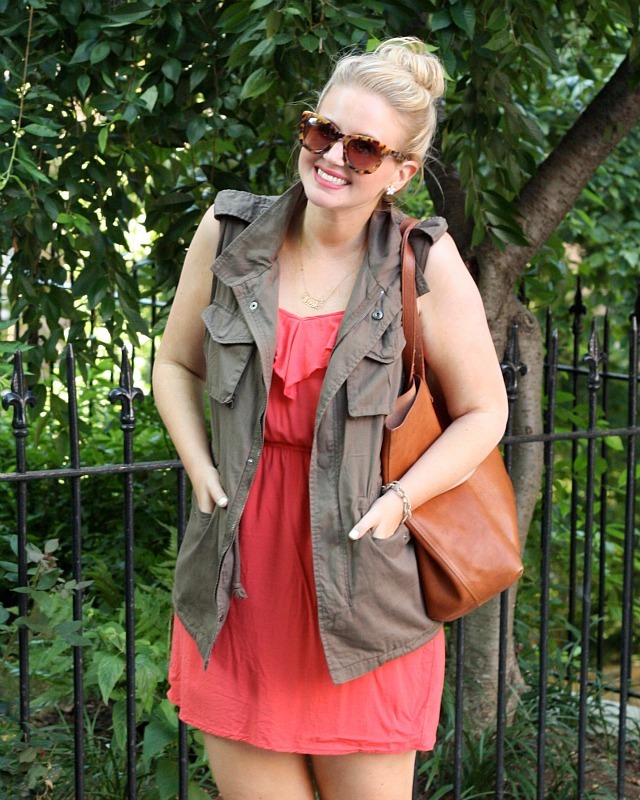 I am wearing a similar vest today but I haven't paired with a dress yet, love that idea! 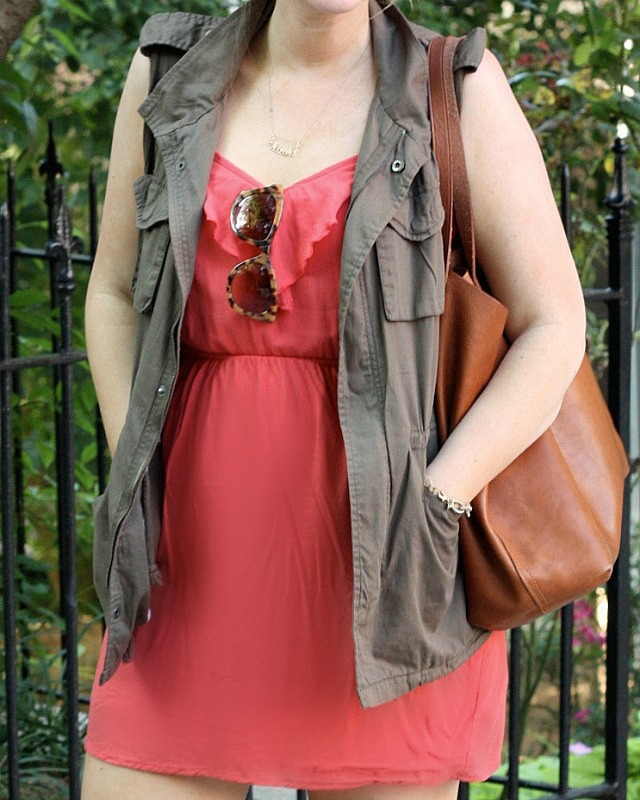 Love the masculine & feminine mix with the vest and dress! So cute! Moving is the pits!! I've been pretty lucky. I lived in one place for 5 years moved and have now been where I'm at for 3. Prior to that there was quite a bit of moving though. Cute outfit! Love that vest! so cute with that dress! Hi! I just discovered your blog and I wanted to say hello. I hear you about the moving, we just moved and it was a pain! Also, can I just say I love love LOVE you bag? It's absolutely gorgeous. 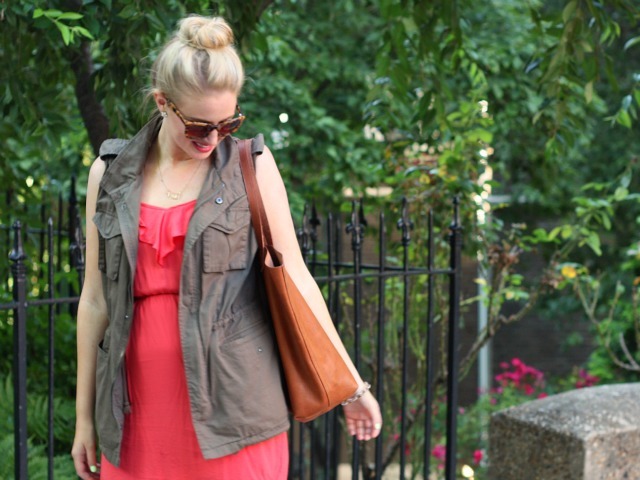 Thank you for linking up with Friday’s Fab Favorites!